Possibilities for Change is helping providers and professionals develop a trusting relationship with their patients. Health care providers and professionals play a critical role when it comes to adolescent health. Connecting with teens in a meaningful way to identify their risk behaviors and provide effective counseling is a challenge. But today’s healthcare reality makes it even harder—with shorter visit times, complex regulatory requirements, and ever-increasing preventive care recommendations. In the busy, chaotic healthcare ecosystem, they need an easy-to-use, integrated platform that patients understand. Because provider comfort level and knowledge can vary from one risk topic to another, RAAPS provides evidence based talking points to support counseling across a wide range of risk behaviors – from LGBT issues to self-injury, anger management, and sexual abuse. And in our current mandatory-reporting, performance-based world, RAAPS provides the data you need to prove outcomes – tracking at-risk teens as well as individual and population improvements over time. 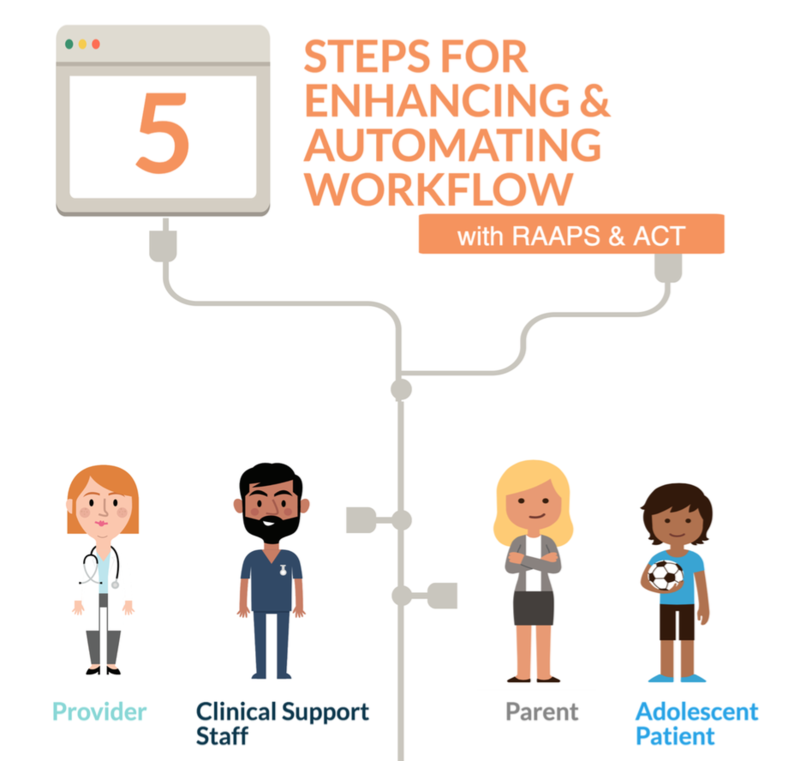 This case study examines the experience of three very different primary care practices and the providers who have successfully navigated the process of workflow integration with RAAPS, including the best practices and lessons learned along the way to address the unique barriers in adolescent risk assessment. "RAAPS was initiated at Medical Associates because of a need to address risky behaviors that often went undiagnosed and unknown. Since starting to use RAAPS, Meyer said many teens have commented that she discovered a lot about them — including information they often don't share when they are 'just talked to'"
"Teens don't bring up issues of risk on their own; the RAAPS allow us to get inside the heads of our teens. Teens like the privacy of RAAPS and expect an electronic format to answer questions. Overall, the RAAPS system has become a "must-have application" for the center - a critical factor in achieving its goals and objectives."